. It may be an ideal time for BAM in rural Japan. Visa requirements are loosening up in fields like agriculture,nursing, etc. Missional people from Phillipines and other countries are seeking to come as tentmaking missionaries. Aging populations mean rural towns need more jobs to keep young people here and more foreigners to fill the gaps in healthcare/elderly care fields, agriculture, fishing, etc. Individually it is hard for such tentmakers to get started Someone with the business skills to invest in a program that gets tentmakers to unchurched rural towns, trains, helps them get their certification in Japan, helps with visas, housing arrangements, language study arrangements, etc. and then helps them work as tentmakers while planting churches could be quite viable. Partnerships with rural towns, access to empty housing, and such may be possible. It isn’t something I have the time or skills for(I’m a church planter, not a business person), but the potential is huge for the right person. 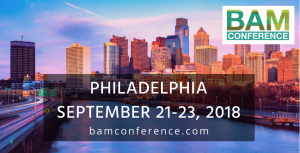 If anyone at the BAM conference would like to dialog about thepotential, I’d be happy to share some ideas. The business, legal end etc. would not be something I could give info on, but the potential needs and some of the ways one might approach things I could give some ideas about.